Has your first grader taken a look at the majestic eagle on the back of the quarter? 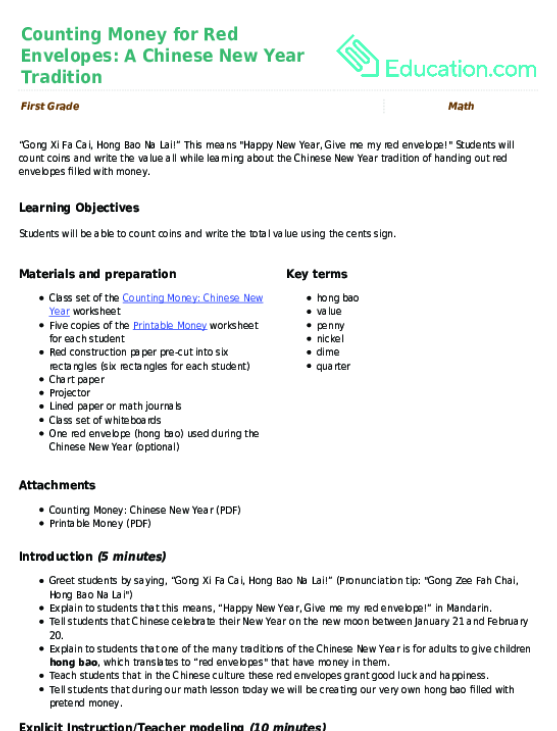 Let him practice recognizing the reverse side of coins with this money counting worksheet. 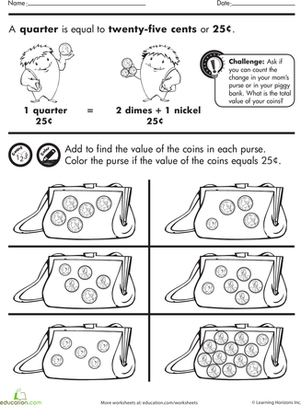 Kids learn as they also practice tracing, counting, and coloring the fabulous quarter. The nickel, of course! Teach your child about the five cent piece with a fun activity-filled worksheet. Catch the coins before they roll away by adding circles, squares, and X's to the different kinds of coins. Kids will learn about currency and simple geometry.